FREE Custom Coloring Pages from Frecklebox! 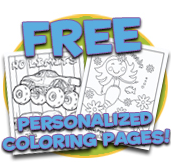 Frecklebox is still offering FREE personalized coloring pages! They've also added a couple Halloween ones. I picked the ones I liked and put "Nana" "Grandma" etc, and then also ones with my kids names and their friends. They make great gifts, or thank you's! 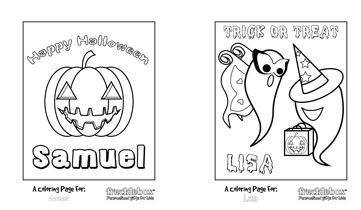 Then I saved them to my computer and put them in a coloring pages file. My kids love them!